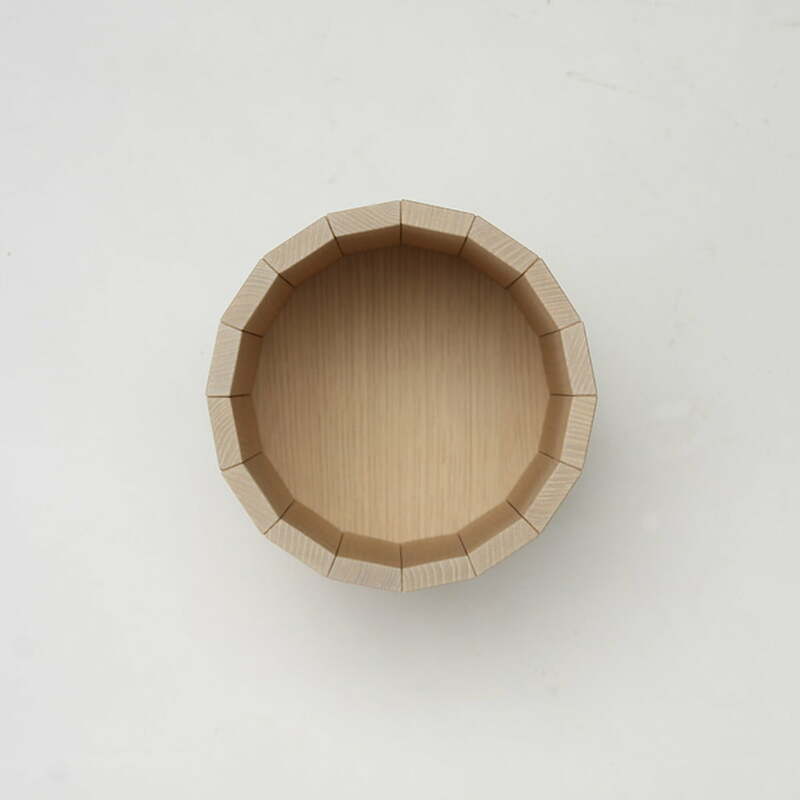 Colour Bin is a functional container by Karimoku New Standard. 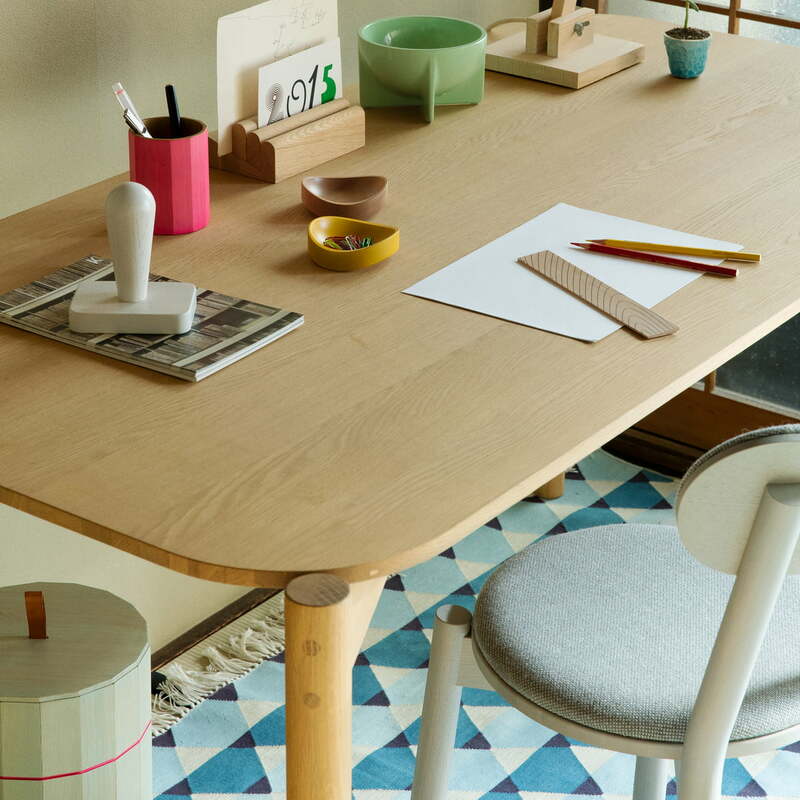 The Japanese-inspired design comes from the design duo Scholten & Baijings. 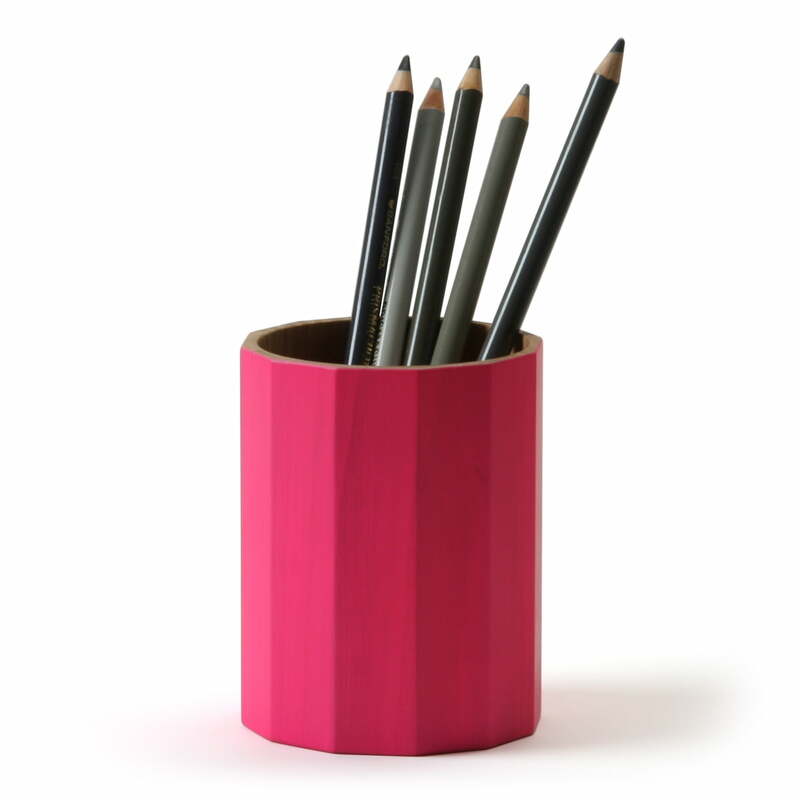 The colour Bin by Karimoku can be used in many ways: Bathroom accessories, jewellery, or office equipment can be stylishly kept and presented in the wooden box. Available in other sizesand with a lid, is the Colour Bin also suitable as waste bin or container for the storage of various things. Coming in three different sizes, the correct variant can be found for any purpose. In the modern ambience with clear lines with glass and metal, the individual container is an eye-catching contrast. 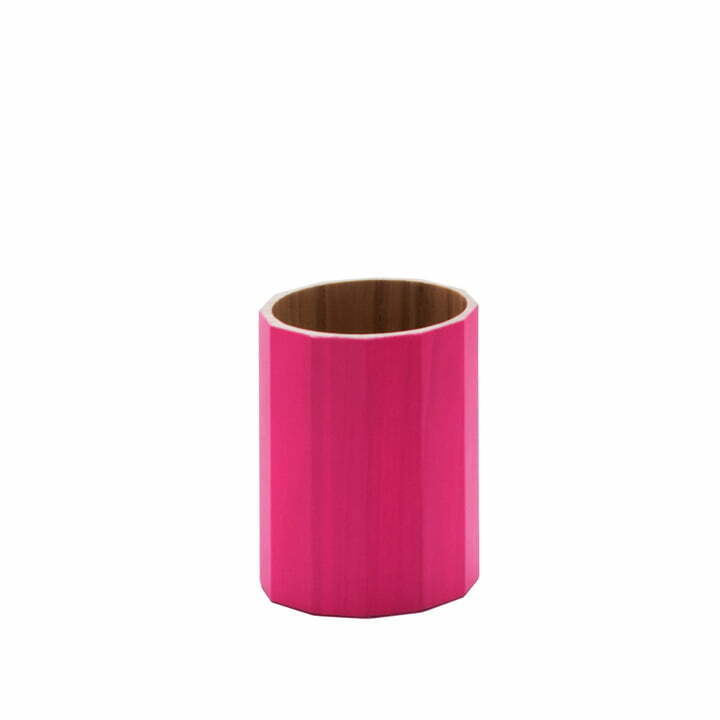 The Colour Bin is manufactured from solid slats made of chestnut wood. The horizontal element on three-fourths of the height is precision milled with a CNC machine in the 3D process - the connecting elements are hidden. The cover of the Colour Bin (medium & large) is equipped with a natural leather strap for lifting. 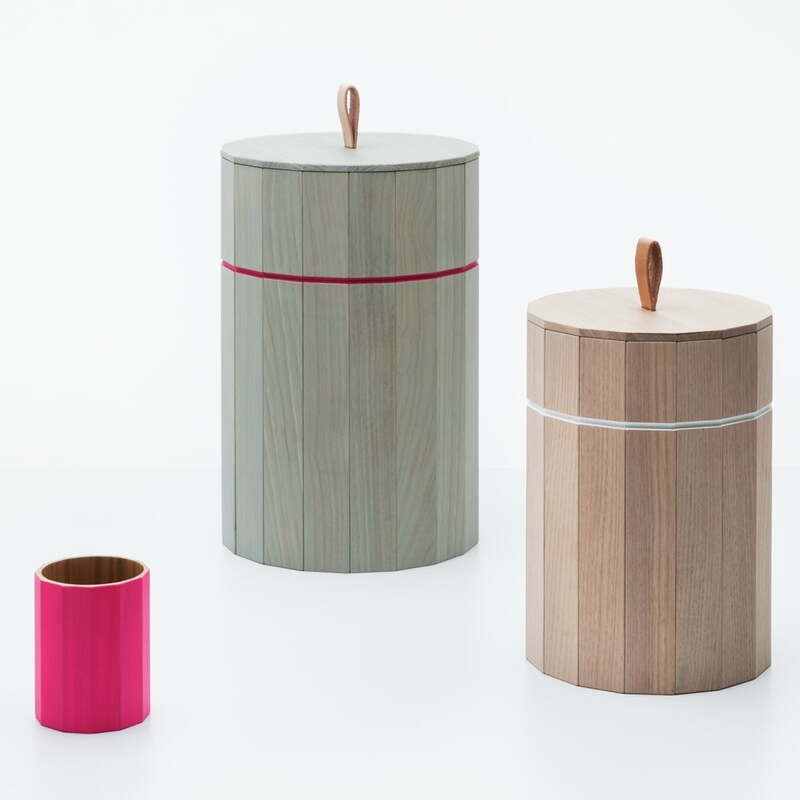 The Karimoku New Standard - Colour Bin small in all sizes. Since the Colour Bin is available in all sizes, you’ll be able to find the right variant for the right purpose. Ambience image of the Karimoku New Standard - Colour Bin. 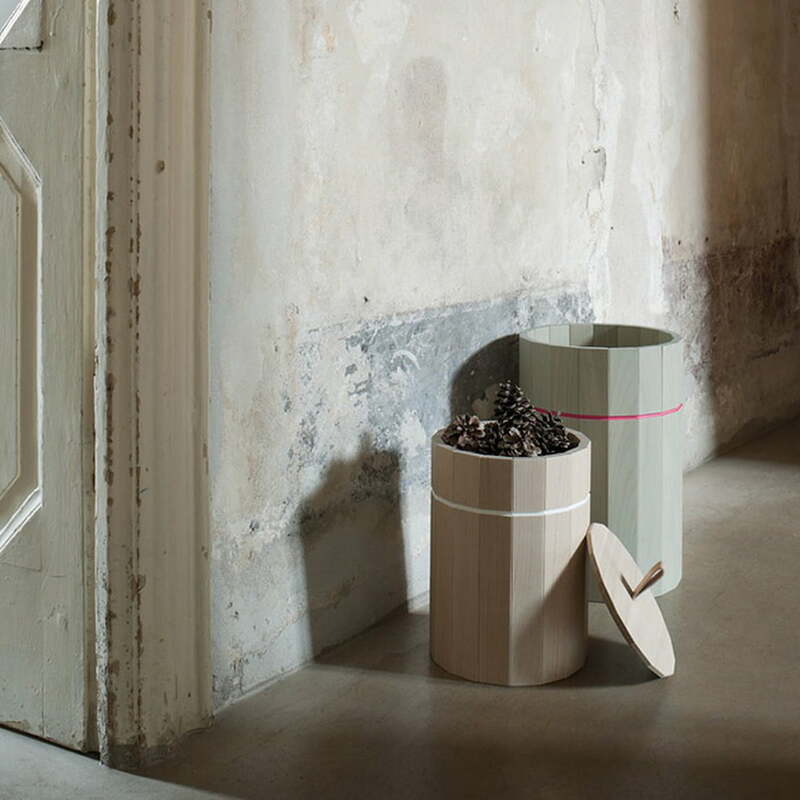 Whether as a wast bin, laundry basket or for storage of small items: the Colour Bin is versatile in any case.